If anyone has any fun ideas for adding to the Buzzword Bingo market, post them here and we might add them to the betting. 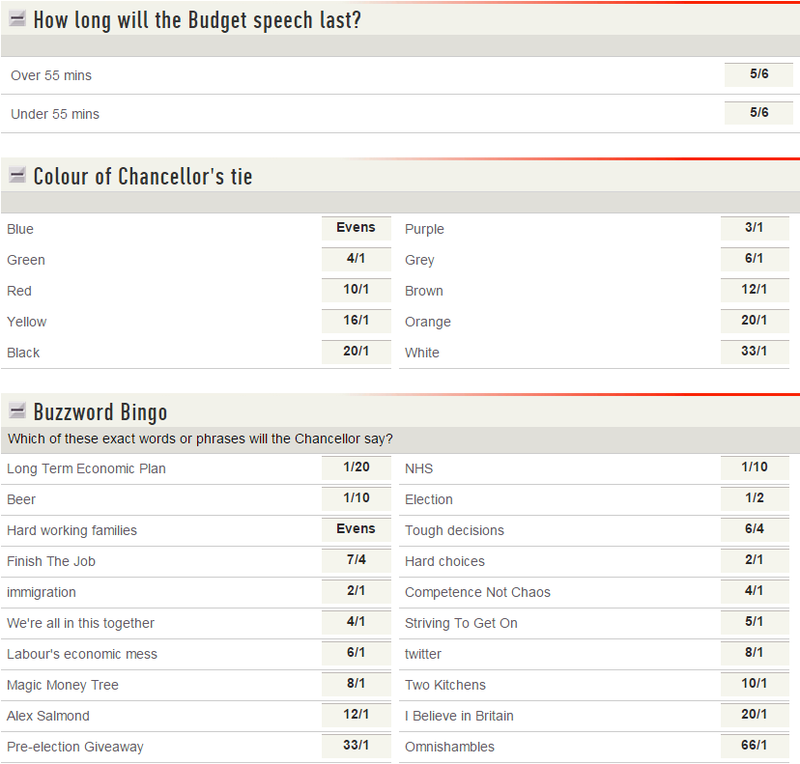 Click here for all the latest Budget odds. Tory odds keep on falling. The Conservative odds hit an all time high in June 2013, at 2/1. 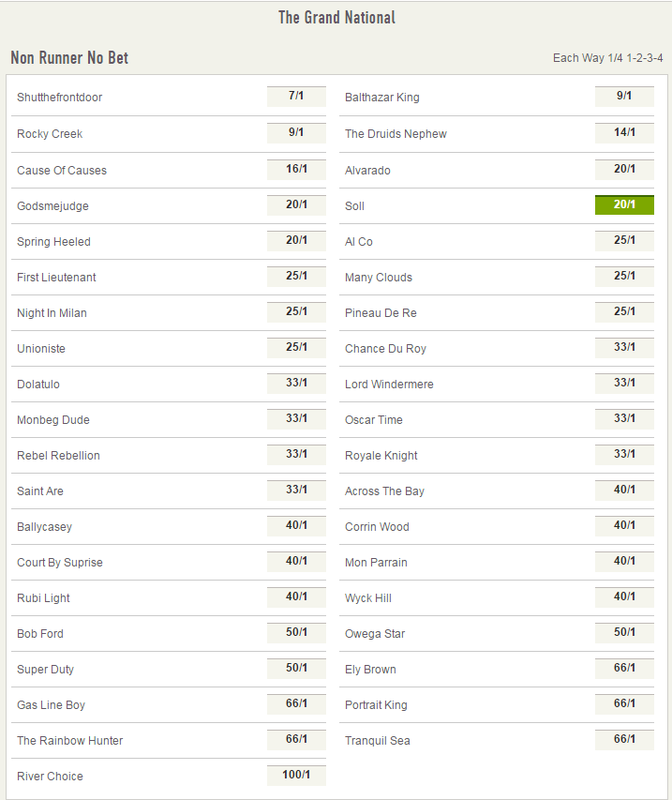 One shrewd punter had £10,000 at that price. 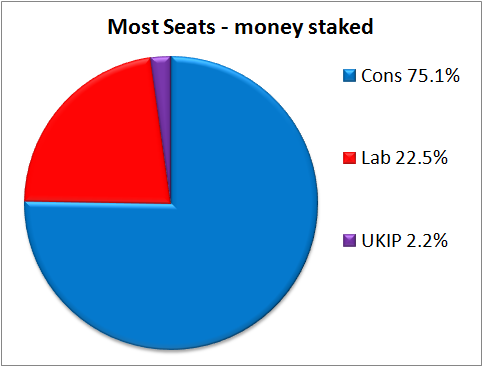 In fact, during the almost five years we’ve had this market open, over 84% of all the money staked has been for the Tories to be the largest party. That’s slightly surprising, given that for just over half of that time, Labour have been favourites. 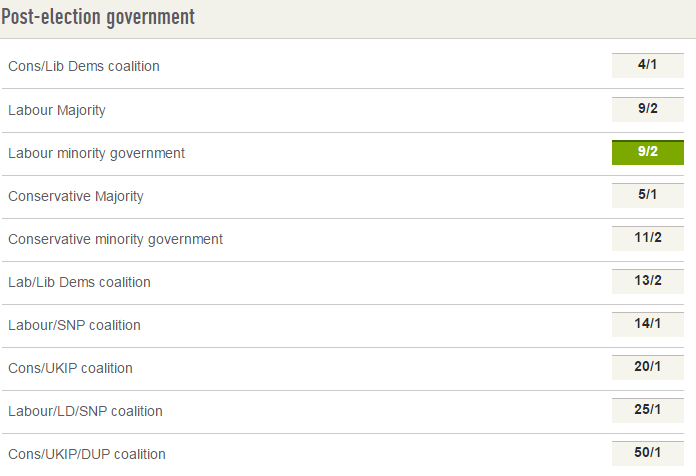 We’ve taken a grand total of £82 on the Lib Dems during the entire parliament, which is quite a bit less than on the Greens. Professional pollsters Kieran Pedley and Rob Vance were kind enough to invite me on to their Polling Matters podcast this week. Labour ahead in the polls – Tories ahead in the betting. A good few days for Labour in the polls. Perhaps it has something to do with the tax avoidance issue, perhaps not. Has this been reflected in the way Ladbrokes’ clients have been betting on the election? Not as far as I can see. In fact, the pattern has been fairly consistent. 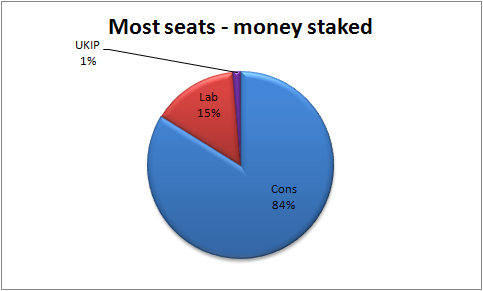 On the outright market on which party will win most seats, more and more money is going on the Tories and hardly anyone wants to back Labour, irrespective of polling movements. The Tories became favourites three weeks ago and there is no sign of that moving back. 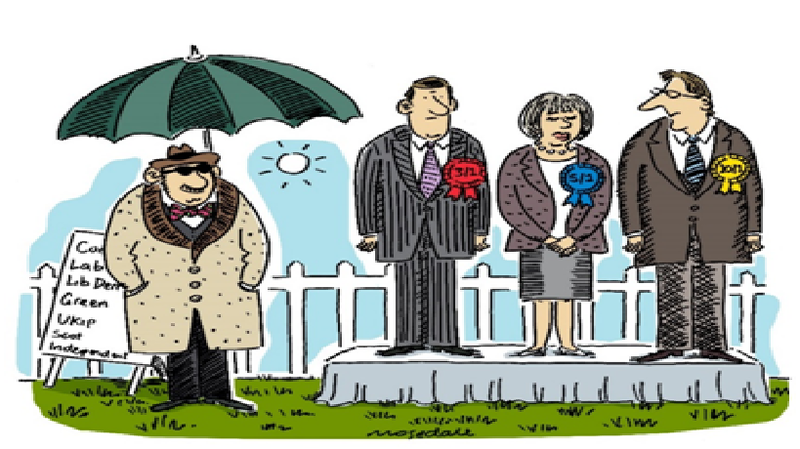 Whilst most political science models predict a polling shift towards the Tories as we get closer to election day, there isn’t much sign of any movement in recent weeks. It’s been close for months and it’s hard to discern any real trend. Of course, the likelihood that Labour will lose a lot of seats to the SNP is a big factor. At the same time, it seems as if the Tories are doing relatively poorly in England and will struggle to prevent dozens of losses to Labour. Based on our current odds in each individual seat, here are the 36 seats that the Conservatives won in 2010, but Labour are now favourites to take in May. 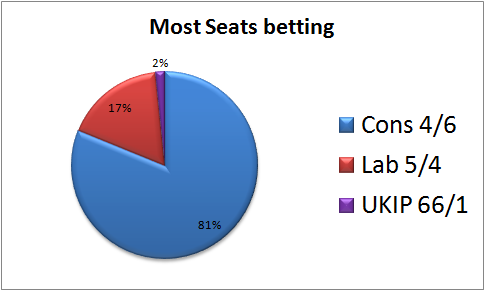 The Lab Win % is the implied chance of a Labour gain from our constituency odds. Labour already hold Corby, thanks to a by-election win. Cannock Chase is an outlier; Labour are narrow favourites to win but have less than a 50% chance because UKIP make this one a three way marginal. The Tories cannot afford to lose all of these seats and remain the largest party; but as long as 80% of all the money we are taking is on the Conservatives coming out ahead, the betting markets will remain in their favour.